The biggest mistake you can make is settling for the first quote you receive. Insurance rates for bikes fluctuate a great deal, even more so than with cars. Shop around. Test various policy configurations. If you prefer having a local agent, then use the best online quotes as a negotiation tactic with that local agent. Most major insurance companies provide significant discounts for customers who combine multiple policies, including car, bike, boat, RV, home, life and so forth. Give serious consideration to consolidating your policies, and use the multiple policies as a factor when quote shopping. But never let insurance lapse, particularly with a vehicle. When consolidating, the agent will manage the logistics of it. The easiest ways to reduce insurance is to reduce the coverage and increase the deductibles. When it comes to coverage, most riders only need what the law requires. For most, a bike is simply a luxury, so do you really need a policy that will replace it if you total it and are at fault? Likewise, put those deductibles up as high as the policy will allow. Many insurance companies provide additional discounts for riders who participate in training and safety courses. In some cases, there are multiple courses that you can participate in, with each one carrying a discount. Keep in mind that you’re responsible for the cost of the course, so think of it as a long-term investment. That discount will stick with you as long as have your policy with the same company. 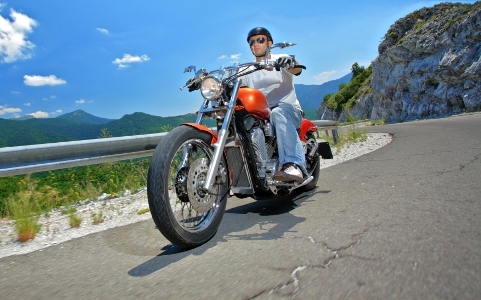 Most insurance companies provide a discount for an anti-theft device on a motorcycle. But it must be an approved device, so check with the company before buying it. Sometimes, they can sell it to you at a discount. If you already own the device, keep that in mind when quote shopping. Insurers also provide good discounts for riders who ride infrequently. Weekend warrior discounts are getting even better now that they have devices that can track usage. This post is courtesy of La Capitale, providers of motorcycle insurance in Canada.